This morning, Japan's Asahi News ran a story on the PS4. It included several things we've heard before, such as how the PS4 will allow you to share things with friends while playing (more here in a previous story) and that it will come with a DualShock 3 shaped controller—which Kotaku previously reported. PlayStation 4 Ditching The Cell Processor, Sources Say, Which Leads to Some Wild Theories. The original Asahi story goes on to say that the PS4 will launch for the end of year sales war in Japan and the US, and that it looks to be priced over ¥40,000. (That's US$427, but assume it would translate to US$400.) There was no specific US pricing in the original article. The original Japanese text in the Asahi piece (価格は4万円を超えるとみられる) is rather vague, as "to mirareru" (とみられる) can mean "is believed", "is expected" or even "is considered to be". In short, this seems like speculation. Yet, this is the bit of news everyone is latching on to. When major Japanese newspapers like Asahi or Nikkei run rumors, they are usually pretty solid. Thing is, there's not much here that hasn't already been leaked before. And like I previously said, the price point doesn't seem rock solid. Remember how much the original PS3 cost? The 20GB version was US$499, while the 60GB version was $599. Now the Asahi News is saying PS4 will cost over $400. That's not only kind of vague, but rather obvious! This afternoon, Sony commented to Famitsu on the Asahi story, saying, "SCE has nothing to announce regarding this matter. No comment even on whether this story is true or false." 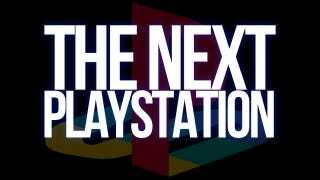 For more about the next PlayStation, read Kotaku's previous coverage here and here. The Next PlayStation is Called Orbis, Sources Say. Here are the Details.